Social media marketing is a marketing technique to improve traffic and brand awareness using social sites. Over the last few years, social media has been completely ruling over the internet. Gone are the days when you could post a couple of times in a week and fans would just find you, follow you and be excited about what you’re doing. Unfortunately, competition is so high now that getting your voice heard and getting your work done out there is increasingly being complicated. Sure, back in 2010, managing an account and reaching your audience was pretty easy. All you had to do was post engaging content, often.And because everyone is still trying to figure out how to make it work, the high-quality accounts would attract followers like nobody’s business. But now, there’s so much competition that it’s easy to get lost amongst the noise. And creating strong relationships from an active audience is even more difficult to achieve. 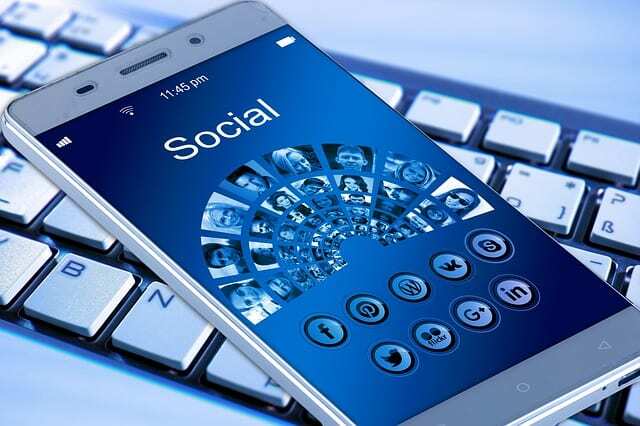 What’s great about social media is it’s easy to set up and once you’re on various social media platforms, you’ll find that you can reach a wide audience without spending much on analytics. Social media is here to stay and not a passing phase. So, before you find yourself in a social media mess, frustrated over why you can’t seem to grow an avid following, I’m going to share some “Do’s, Don’t, pitfalls and mistakes” that should be taken care of while being into social media marketing. • Have you ever come across a great post and want to leave a comment or contact the blogger? But you look around and find there’s no comment box or link on the blog? The best thing you can do is make yourself available. Readers want to have the option of engaging on your blog. They also want to know that they can quickly contact you. • Add a contact page to your website with ways to contact you. Add follow buttons on your site to make it easy for people to find you. • Add share buttons. Having share options on your blog placed above and below each blog post makes it super simple and super easy for people to click and share. • Writing your next post. • Providing topics for your content calendar. • Understanding trends across networks. across your social networks. You may find that people want to know a specific answer, so use this information to write your next blog post. After all, you’re writing for your audience, and understanding what type of information they are seeking can help you in creating content specifically for them. • Connect with influencers: social platforms allow connecting with anyone from any location. So, why not follow expert bloggers in your niche? These influencers have the ability to help boost your posts to more traffic and social shares. You can also learn from these influential bloggers by seeing how they use social media to take their advantage. • All the effort you put into marketing will be useless if your content is not original, useful and engaging. • Choosing the wrong social media platforms to promote your work. For social media to work, you need to use tools that make sense for your marketing goals and that an audience exists for your work on the social media platforms you choose. • Using cross posting features to share the content on multiple platforms. When you do this, your followers have to see your content repeatedly, which can become annoying. And you’re not optimizing your posts for each individual platform, so they’ll end up working bad and won’t be effective. • Posting at the wrong time. You need to make sure that you’re posting when a majority of your audience is online. You can learn your follower’s behaviour patterns by observing when they’re posting, liking and sharing or you can set up as a business account that will provide analytics. • It’s been noticed that people with larger social networks in real life typically have larger social media accounts. So if you’re not letting people know about your Instagram account, YouTube channel or Facebook page then you could be missing out! • Sharing low-quality content: Gone are those days where blurry, unedited photos are acceptable. At the very least, you need to compose your photo well and then do some editing afterwards to make the image look appealing. Likewise, you need to write clearly so that people reading your posts understand the information you’re trying to convey. • It’s seen so many social media marketers failing to optimize their posts. Tagging friends, pages or organizations, sharing a location including hash tags, and sharing all around good content will give you much exposure! the thing you can do is find a social media platform you enjoy using so that you’re not spreading yourself too thin. Believing that “going viral” can happen naturally in 2017 may not be that true. In order to go viral, you’ve to do some work nowadays. Are you ready to start your social media marketing strategy? Starting it is exciting if you’ve the potentiality to create great content that people want to learn about. With the right social media plan, you can find your target audience and tailor your content to them. Take the time to learn as much as you can about social media to leverage it for your marketing success. These tips should help you start your social media marketing in a proper way and get your content noticed. Next Post:How iOS Developers Can Maximize Opportunities in iOS 11? Good answer back in return of this matter with real arguments and describing the whole thing regarding that.